Dusseldorf is a city with plenty of history and many attractions, but it is also a busy place where plenty of business is done. Recognising this, the luxury hotels on the banks of the Rhine are all well geared up to serving business travellers and hosting corporate meetings, with their style and approach being set up accordingly. 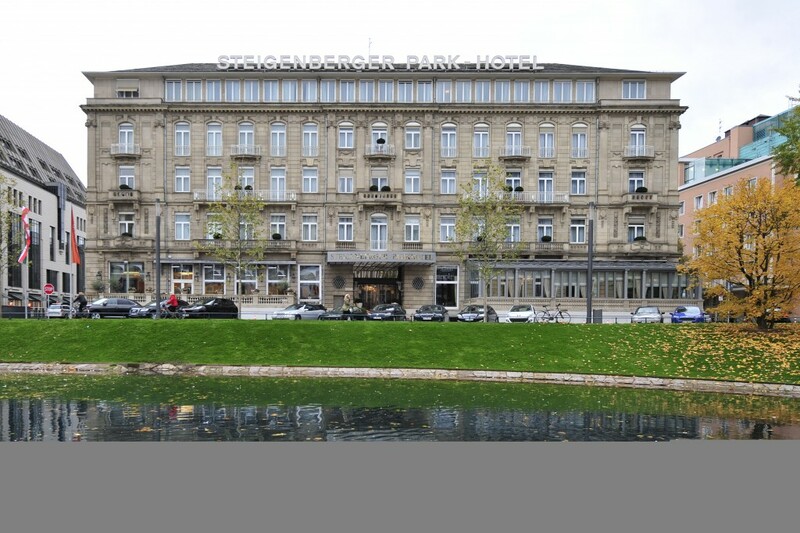 Located just outside the city centre, the Steigenberger Park Hotel Duesseldorf is just such a destination. From the outside, the first impression is of a magnificent building, in classical German architectural style. The same is true inside, with the decor having a grand and time-honoured look with its classical high ceilings and ornate furnishings. All this should serve to impress business partners when meetings are being held there. But while first impressions matter, everyone knows they are not the be-all and end-all. To that end, the Steinberger has developed an extensive package of facilities aimed at ensuring the needs of all business travellers are met. There are no less than six modular function rooms with air conditioning and state-of-the art facilities to enable people to make use of the most modern multimedia and communication methods. In addition, larger places are available for all kinds of events, be they seminars with a dozen people or conferences featuring hundreds. Business lunches will also impress, as the superb restaurant offers both an opulent setting and magnificent food. Indeed, for those staying at the Steinberger on business, a stay for business purposes comes with some great catering options and a wonderful range of wines, champagne, beers and whiskies. From mid-April each year the exclusive summer terrace offers a chance to enjoy these al fresco. Indoors, there can be no better place to relax and unwind than the Etoile Bar, where piano music and great conversation will make for a highly enjoyable and relaxing evening. For all these reasons, the magnificent Steinberger Park Hotel is an ideal place for business travel.